The third recording is a contribution from David C. Kelzenberg (Iowa, USA). It is Helmut Walcha playing the “Ricercar á 6” from “Das Musichalishes Opfer” by J. S. Bach. This recording was done privately by Helmut Walcha some times in the 1970s, pressed on a vinyl seven inch phonograph record in a very limited number and given as a Christmas present to friends and students. For many reasons these recordings are worth listening to. First of all they represent some very fine organ playing, but also of course due to their rarity. In connection with the two live recordings they also show a very rare insight into organ performance during a concert. Especially with Helmut Walcha it is obvious, compared to his “studio recordings”, that he plays with even more energy and takes more chances during a concert. I couldn’t find information about the orchestra playing with Günther Ramin, but it could be reasonably to assume that it is the Göteborg Symphony Orchestra, which I assume existed in some form back in 1937. 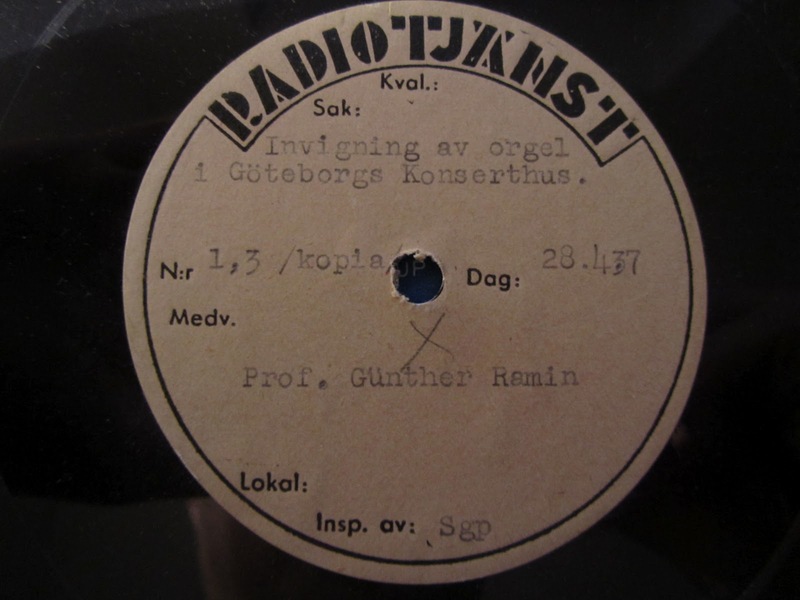 The sound quality of both Walcha are very good, but due to the age and perhaps the decaying of the acetate discs the Günter Ramin recording some places has a high degree of background noise and some other flaws. 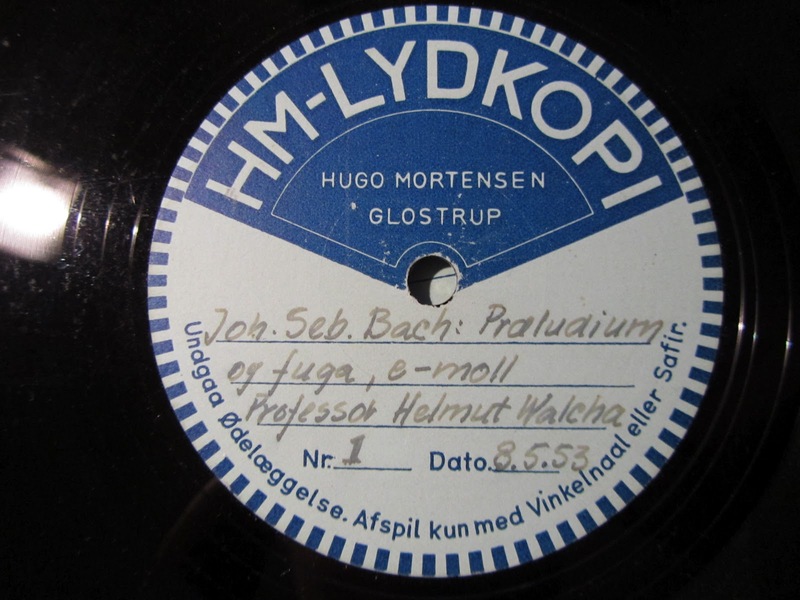 But again thanks to Claudia Zachariassen and David C. Kelzenberg for providing these recordings, and also thanks to Claus Byrith for the digital transfer and audio restoration. I'm very happy about this post for two reasons: first of all because the recording is excellent and also because I was thinking that the blog was forgotten. Thank you from Spain.